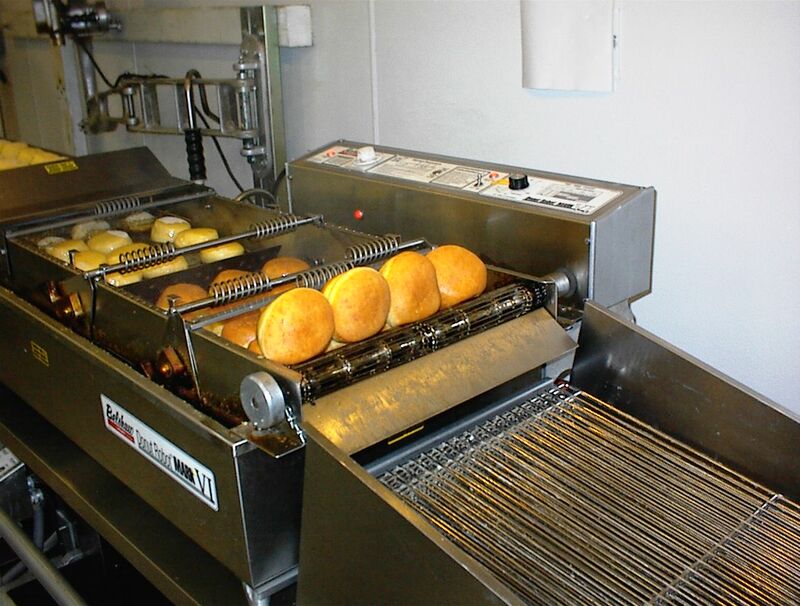 We want you to get the full bakery experience, so we are opening up our doors to show you how our delicious desserts and other bakery products are made fresh. Check back for new pictures! 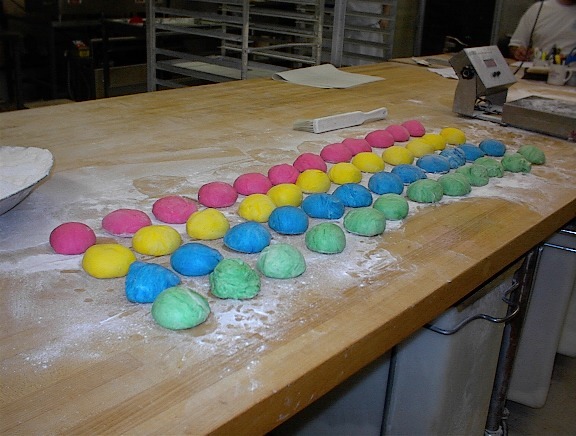 Our delicious and colorful Easter Bread before and after it has been twisted into its form to be baked. 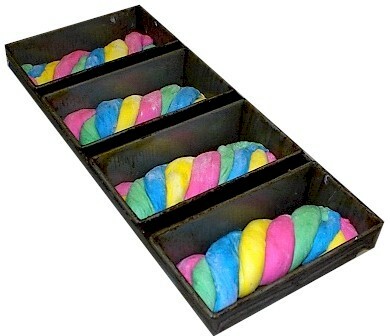 Our scrumptious Danish is ready to be placed in the oven. 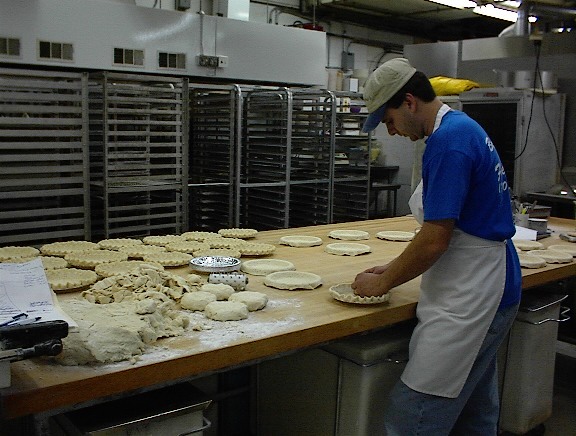 Ray makes pie shells by hand. 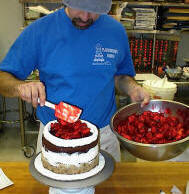 Check out how fast he can crimp a pie! Irish Soda Bread being scaled to ensure that each loaf is the same for our satisfied customers. 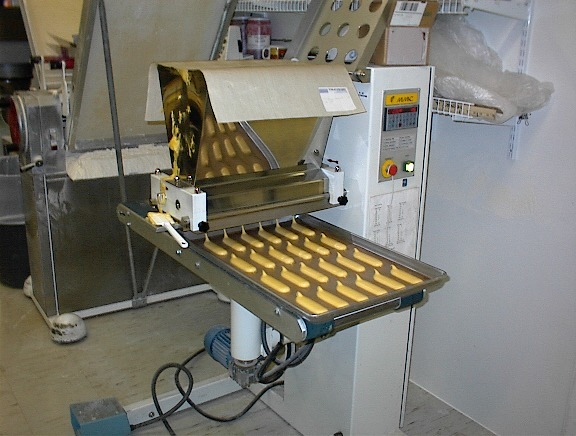 Eclairs take form after being dispensed from our cookie machine that creates the shapes for many different items. After, they are place in a forty-pan rack oven and baked. Our festive Yule Log Cake assembled by our excellent crew for your Holiday Season. 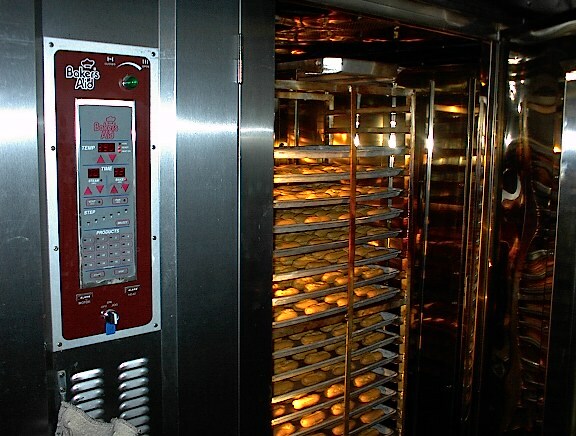 Our moist cake is baking in the rotating oven, so we can bake enough for everyone to enjoy! 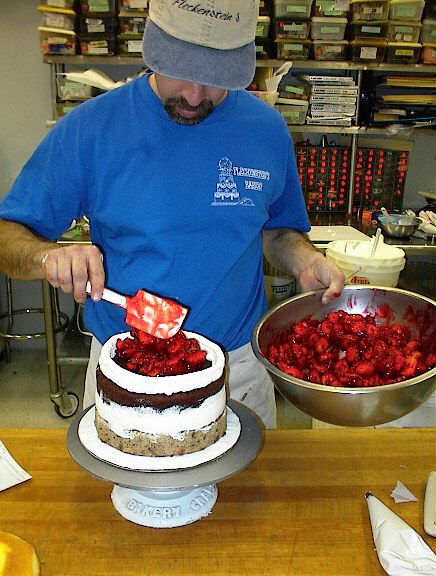 Our loaded atomic cake is filled with fresh bananas and fresh strawberries. 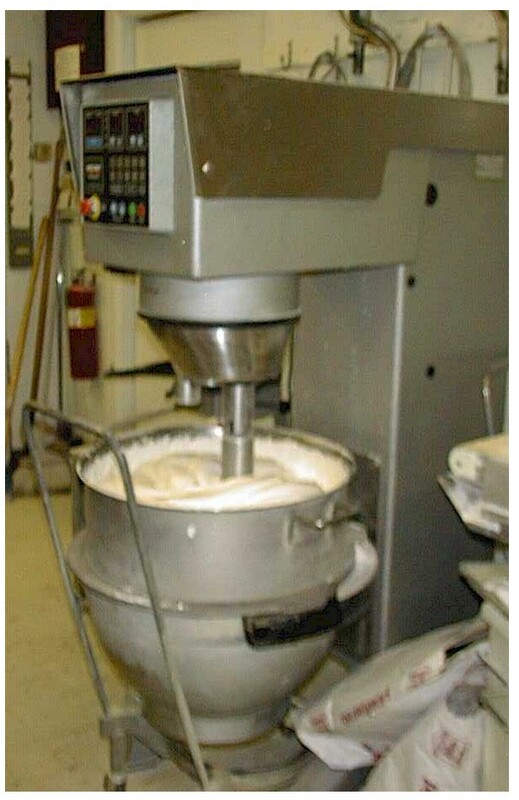 We don't make buttercream in ounces; we make it in 150 pound batches! 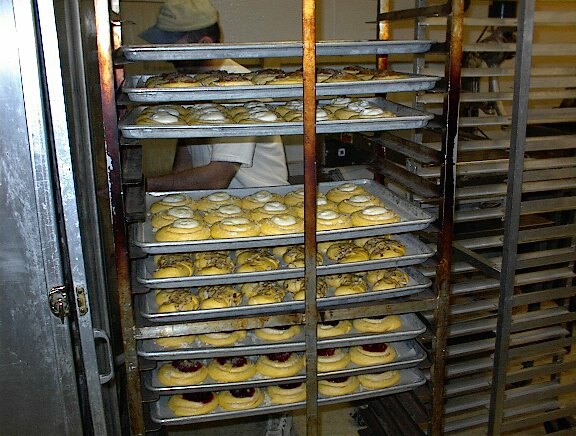 Our spritz tree cookies are made every winter for a German spin on the holidays. Check it out! 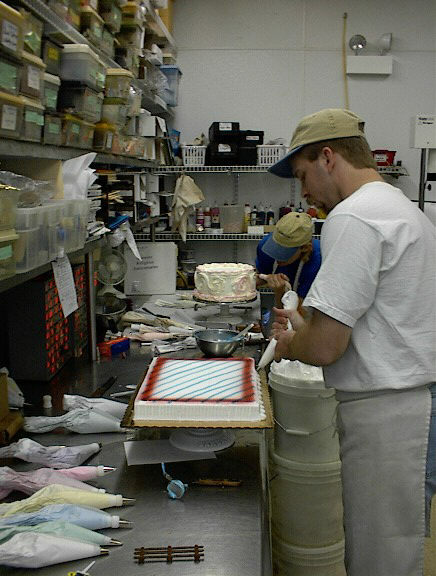 A decorator frosting a cake carefully to ensure that it is smooth. 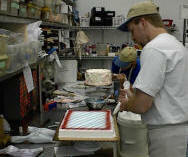 Ross and Holly are hard at work hand decorating each cake for our wonderful customers. 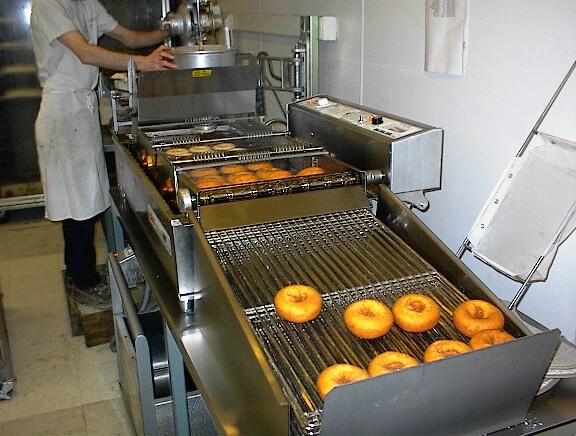 Our sought-after raised donuts approaching the fryer so you can enjoy them within hours. Who doesn't love long john's? Here's plenty waiting to be fried to satisfy your taste buds. 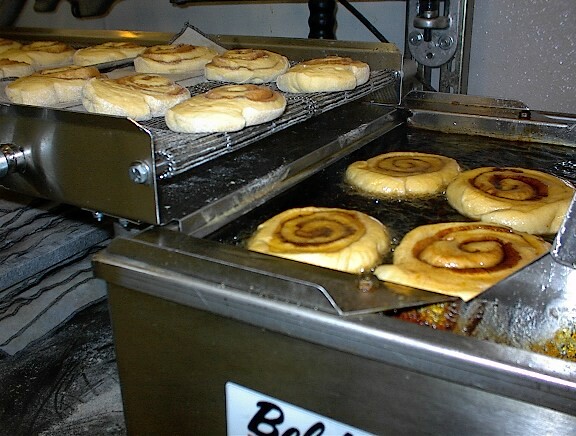 Scrumptious Cinnamon Rolls on the line ready to be dropped into the fryer. 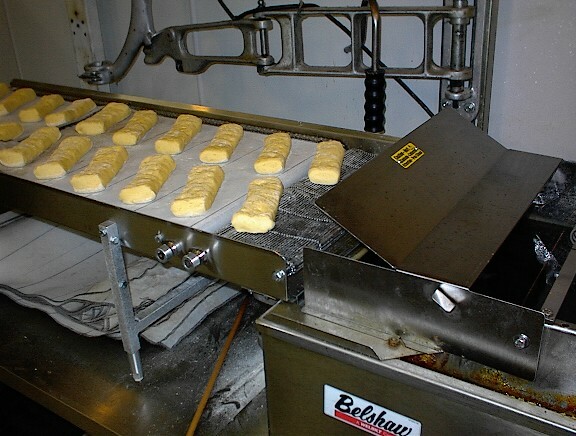 Our yummy creme-filled bismarks are being deposited out of the fryer. 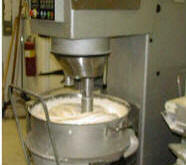 Our traditional cake donut coming out of the fry line, almost ready to be enjoyed. any other way. 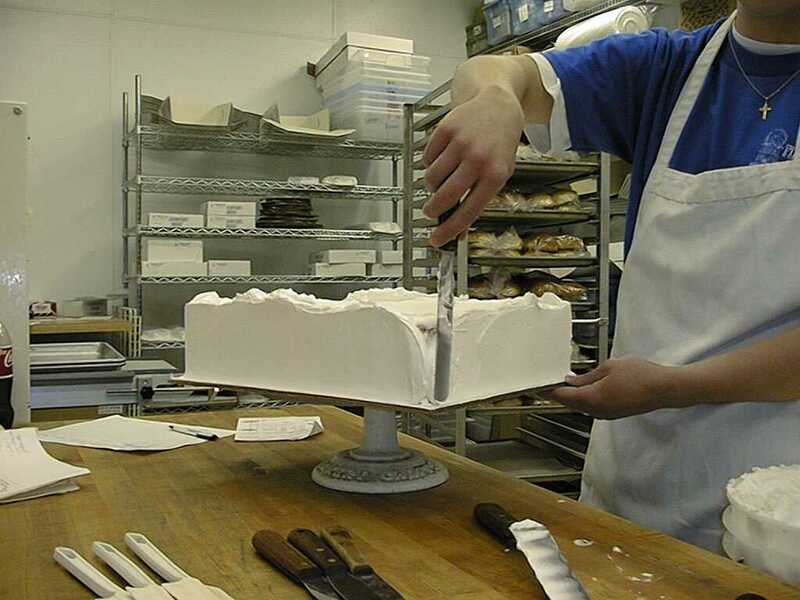 Fleckenstein's is the name for quality.